Deal Physical Damage to target enemy. Target Lock: Expose the target for 2 turns. Dispel all buffs on target enemy. Daze target enemy for 2 turns and remove 30% Turn Meter, with a 50% chance to apply these effects to another random enemy. This ability can't be Evaded or Resisted. 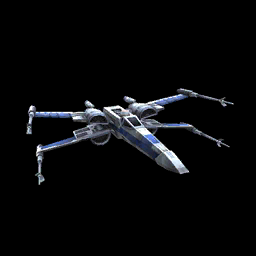 Enter Battle: Resistance X-wing has a 40% chance to Assist, dealing 30% less damage, whenever an ally uses a basic attack during their turn. This chance is doubled for Resistance allies. Deal Physical damage to target enemy and inflict Target Lock for 2 turns, with a 70% chance to also Expose them for 2 turns. If there is another active Resistance ally, Expose target enemy for 2 turns.